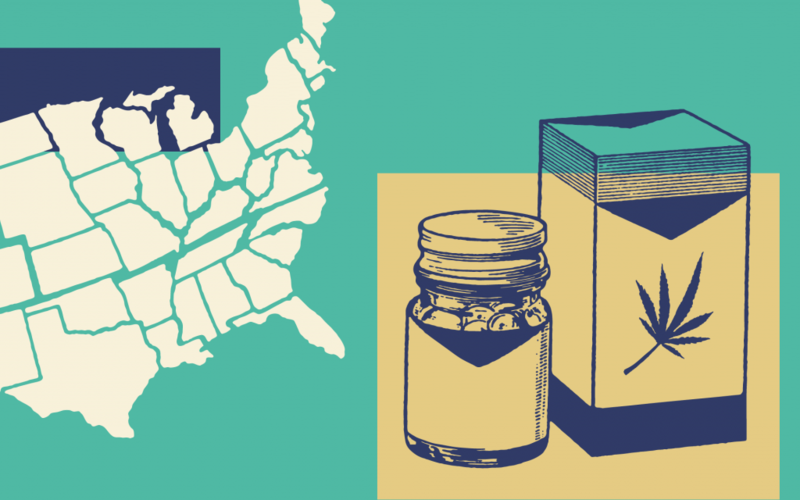 With the midterm elections behind us, there are now 33 states, as well as Washington, D.C., that have legalized medicinal cannabis in some form. And earlier this year the U.S. Food and Drug Administration (FDA) approved Epidiolex, the first prescription drug made from cannabis. With all these advancements, should we expect our neighborhood pharmacists to be dispensing whole-plant cannabis and cannabis extracts across their counters at some point in the near future? The short answer is no. According to industry experts, that scenario probably won’t happen for some time. But the number of trained medical marijuana pharmacists is growing, and they are establishing their legitimacy in the medical community. While five states have formally “established a role” for registered pharmacists in the medical marijuana dispensing process, state-authorized pharmacists must deal with a wide variety of challenges—including some that could potentially affect both their livelihood and their freedom. Along with monitoring the constantly-evolving state and federal cannabis policies, druggists in cannabis-legal states must also keep watch on a patchwork quilt of local health and safety regulations. And there are disputes about how to best educate the 300,000 or so pharmacists across the U.S. regarding the medicinal properties of cannabis. Angelo Cifaldi is a registered pharmacist in New Jersey. He’s also an attorney who specializes in pharmacy law. And he’s very aware of the legal tightrope walk that pharmacists in cannabis-legal states must endure if they are to work with medical marijuana. Losing its DEA license would effectively shut down any pharmacy in the United States. To date, the federal government has not enforced its laws against such pharmacists, Cifaldi said. Nobody has been arrested or charged. But there are still risks, he added. Pharmacists aren’t personally licensed by the US Drug Enforcement Administration (DEA). Instead, the pharmacies they work in are required to obtain and hold DEA licenses. These so-called “alternative treatment centers” in New Jersey—they’re known as dispensaries in most other states—are not licensed by the state board of pharmacy. “They don’t have a DEA license that they can lose, because they’re licensed by the state,” Cifaldi noted. This precarious balance between federal and state law still creates legal tensions. Hospital pharmacies in New Jersey, for example, face the dilemma of whether or not to allow a patient with a medical marijuana order (as they are called in the state) to receive treatment in their facility. And that issue, said Cifaldi, can lead to other legal problems. What is needed, Cifaldi said, is a uniform approach to pharmacies and medical cannabis. But that can only occur once cannabis is reclassified by the federal government. The pharmacist community has a reputation for being conservative. But some observers acknowledge that the cannabis legalization movement has a momentum that cannot be stopped. “It is undeniable that we’re in the midst of a cannabis revolution,” Mary Bridgeman, a professor at the Ernest Mario School of Pharmacy at Rutgers University, said in an email to Leafly. Bridgeman also serves on the New Jersey Medical Marijuana Review Panel. Since early 2016 she has included medical marijuana in her freshman elective course on the role of plants as medicines. She also believes that, until the federal government removes cannabis from its Schedule One category, we’re unlikely to see cannabis becoming available in the traditional pharmacy setting. The federal illegality of cannabis can also “lead to unintended consequences for pharmacists and their businesses,” according to a statement on the National Community Pharmacists Association (NCPA) website. Even with the current political and legal landscape, Bridgeman believes the pharmacist community has an obligation to school itself on medical cannabis. Especially, she added, since many pharmacists must educate patients on the benefits and risks surrounding their prescriptions. “Similar to other substances that are highly regulated, pharmacists are well-positioned to ensure safe use, adherence, optimal strategies for self-administration and dosing for a plant-based therapy, like medical cannabis,” she said. Friedman is a certified pharmacist who was formerly on the board of the Medical Cannabis Alliance of Illinois. He’s currently the board of the American Society of Cannabis Pharmacists. He said a growing number of people are being drawn to medical cannabis as they seek alternatives to mainstream pharmaceuticals. Illinois legalized medical marijuana in 2013. Since then, according to Friedman, the number of medical cannabis patients in the state has jumped from 3,000 when the pilot program began to around 46,000 patients today. That’s still a pretty small number, considering Illinois has about 13 million residents. But for the past three years, since his pharmacy was established, Friedman has seen a growing number of patients transfer from other dispensaries. While other medical dispensaries might have helpful staffs that know a lot about marijuana, Friedman said that’s not enough when it comes to someone who might have multiple ailments, and who might be taking literally dozens of pharmaceuticals. A pharmacist may warn a patient of harmful drug interactions that a budtender might not know about. For example, he said, cannabis can have side effects when taken with blood thinners. It can also increase the effects of steroids. And while many of those drug interactions might be not be life-threatening, “many of them could be potentially tough” on cannabis patients who aren’t aware of the risks. Illinois closely monitors medical cannabis dispensaries, and it requires eight hours’ worth of training annually for dispensary employees. But Friedman says a lot of that training is tied to operations and health insurance issues, and not necessarily regarding cannabis as medicine. So he’s trying to step up the education factor for his pharmacists, and for future cannabis pharmacists. As a result PDI has a relationship with two colleges of pharmacy in the state. It has fourth-year pharmacy students come in and do clinical rotations at the dispensary. “These pharmacy students, while they’re on board here for six weeks, one of their tasks is to give two or three presentations to my staff on cannabis and one of the qualifying conditions (for medical cannabis),” he said. This unique program, Friedman said, also helps bring in new knowledge of drug therapies to the dispensary. And this desire to educate pharmacists on medical marijuana can be found in the broader pharmacist community. The program is “intended to represent a ‘primer’ for the busy professional,” said Professor Bridgeman, who worked on the project. And she believes that, as pharmacists become more educated on issues such as proper dosage, different cannabis strains and THC-to-CBD ratios, the overall medical community will become more comfortable with the medicinal use of cannabis. Bruce Kennedy is an award-winning reporter, editor, and producer based in Colorado. He has covered the legal cannabis industry since 2010. All one has to do (assuming they have the common sense gene) is ask an epileptic, a cancer patient, a PTSD sufferer, or a chronic pain patient if ‘marijuana has no medicinal value’ to get the real answer. For the U.S. government to continue labeling the natural plant as Schedule I, it takes a whole lot of stupidity. Knowing what we now know, how is this even possible? How is it I can call a dispensary and have them deliver some RSO oil to my house for my ailments yet be thrown in prison in Texas for possessing the same oil? By the way, I trust the medicinal marijuana knowledge of a lot of budtenders over some programmed pharmacist who has been dispensing synthetic opioids his or her entire career. Most of them don’t know squat about marijuana. I used and use cannabis for chronic pain and PTSD+ several other maladies, last year i took myself off the 360 morphine tablets and 84 Hydromorphone tablets the VA had me on! I did that cold turkey from one day day being in my opiate daze to realizing it was going to kill me! I also now use 7 less medications than i did then. IMHO our Govt needs to lose it’s attitude and DECLASSIFY Cannabis totolly so it can be regulated as a farm commodity thus making it accessible to everybody. Then it can be used as a herbal remedy like sage or any other herb!